Background : Son of Thomas and Annie Milliken; husband of Mary Milliken, of Hampton, Victoria, Australia. Father of Bob. Played bagpipes. 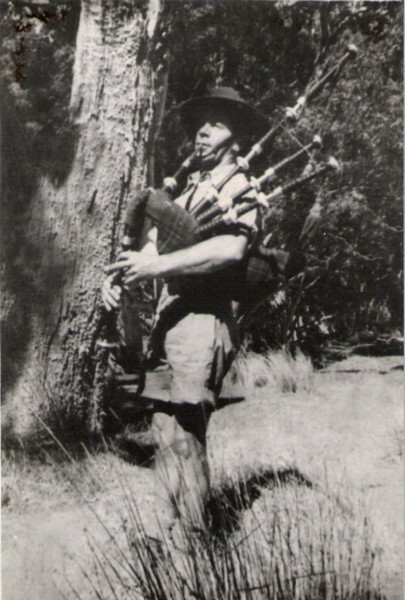 Was piper in the Militia Victorian Scottish Regiment. Service & personal summary At enlistment : married. Previous Militia military experience. Blue eyes, brown hair. Marks / scars : scar above and below right eye, scar pigmented stain left elbow. 12/07/1940 Taken on strength Recruit Reception Depot Royal Park, Victoria. 18/07/1940 Transferred from Recruit Reception Depot to 3 Engineering Training Depot Dandenong, Victoria. 20/09/1940 Transferred from 3 Engineering Training Depot Dandenong, Victoria to 2/2 Pioneer Training Battalion Hamilton, Victoria. 01/10/1940 Classified Group II Plumber. 01/01/1941 Posted to 2/2 Pioneer Battalion Puckapunyal, Seymour, Victoria. 02/01/1941 Posted from 2/2 Pioneer Training Battalion Hamilton, Victoria to 2/2 Pioneer Battalion Puckapunyal, Seymour, Victoria. 03/01/1941 Appointment Group II Spec terminated Puckapunyal, Seymour, Victoria. 12/06/1941 Transferred to Pioneer Training Battalion A.I.F. 04/07/1941 Marched out from Pioneer Training Battalion to 2/2 Pioneer Battalion. 04/07/1941 Taken on strength 2/2 Pioneer Battalion from Pioneer Training Battalion. 28/09/1943 Deceased whilst in prisoner of war Thailand camp.